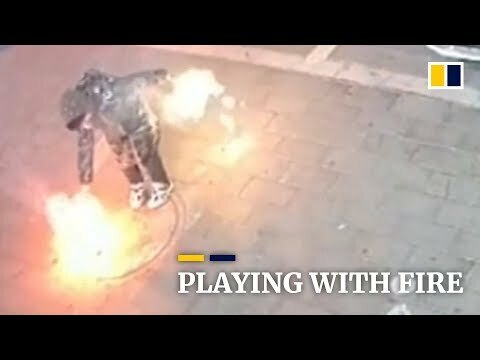 A small boy narrowly escaped injury after he dropped lighted “sparkler” fireworks into an opening of a manhole cover in northern China. The incident, including the boy nearly being caught up by a huge fireball, was caught on camera. Police in Chifeng city in the Inner Mongolia autonomous region said the boy walked away from the blast they blamed on the fireworks igniting methane in the sewer system below. Could You Eat So Much That Your Stomach Explodes?